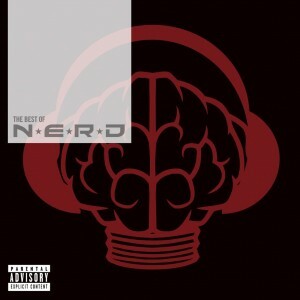 EMI has revealed the cover image and the tracklisting for the forthcoming greatest hits package from American outfit N.E.R.D. The collection, to be released physically and digitally early in the new year, will encompass product from the band’s time with their label of four years – including some of their biggest hits such as ‘She Wants To Move’, ‘Maybe’ and ‘Rock Star’. The 16 tracker will also feature bonus tracks such as the b-sides from the ‘Lapdance’ single ‘What’s Wrong With Me’ and ‘Lil Suzy’ – the latter featuring Kelis, plus the Sander Kleinenberg remix of ‘Maybe’ from the original single release. ‘The Best Of N.E.R.D.’ is slated for an Aussie release on Friday January 14. The band is in Australia over the new year period for the Pyramid Rock Festival on Victoria’s Phillip Island and the Summadayze tour. Filed Under: Greatest Hits Featuring: N.E.R.D.